The calendar says March – which means spring is on the way despite much of the country dealing with winter weather. If you’re trapped inside waiting for it to warm up you have the perfect opportunity to plan your spring cleaning and get a jump start on an easier PCS. Cleaning ahead of a PCS may seem pointless. You will be going through everything then anyway, right? Well, doing a thorough spring clean now actually will save you time and energy as you get closer to the actual move date. Start by decluttering. Why pack, move, and unpack/store things that you don’t want or need? Make 3 boxes and put them in an accessible but out of the way place (just inside the garage if you have one) and label them: donate, store and sell. Go through your home room by room and separate out items that belong in those boxes. As they fill up, sell or donate items. As you go, throw out items that you don’t want, are not worth selling, or are not suitable for donation. Whether you are moving out of installation housing or a home in the community, you’ll have some move out cleaning to do. Cut down on the amount of work you’ll be doing in those last hectic days with a thorough cleaning now. Remember to pay particular attention to your appliances and those out of the way spaces that are not cleaned often. Weeding flower beds or mulch areas. In the course of living in your home, there will be small maintenance tasks that need to be done. Making that list now gives you plenty of time to forward appropriate tasks to your property manager or housing office and take care of any that you will handle. Include tasks such as patching nail holes or dings in the wallboard, touchup painting, carpet cleaning, etc. PCSing is challenging on its own: out processing, packing up your house, traveling to your new duty station, and settling into a new home in a new community. 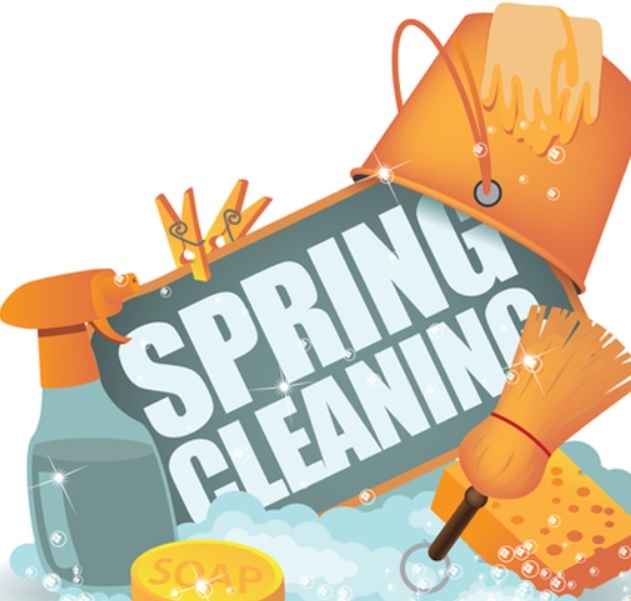 A thorough spring cleaning prior to your PCS can help ease this stressful transition.